Well, that would bring it down to 7.5 years. I think the sweet spot is more like 2 years. Anyone helping out the community that much (keep in mind to reach VIP in 2 years, you'd have to create a new thread 5 times every day), is likely dedicated to helping the community. I was continuing to make posts and reply even when we didn't know of anything there was to work for. I think Anker will step in if it is obvious a user is making multiple posts every day for the main purpose of getting to VIP status. That being said, that hasn't really been an issue so far and I see no reason as to why it would start now. Plus, lots of great those people may come from sources like social media. 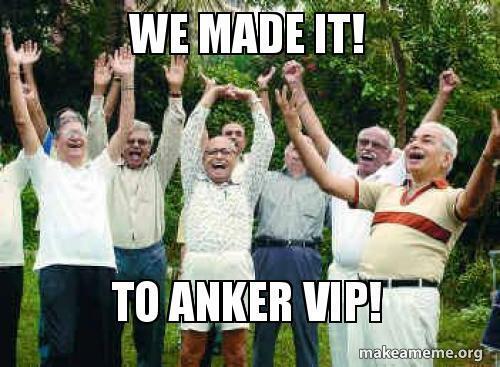 I don't think Anker is going to advertise the benefits of senior, executive, or VIP membership on social media. And, those people probably don't have the "time" or desire to dig into the site themselves and discover that info. And even if they did, I don't think many, if any, would post for 2-3 years knowing that chances are they will get caught by @AnkerOfficial, you or @TechnicallyWell and no longer have the ability to earn pts or something along those lines. In other words, I don't foresee it as something we should be very concerned about. I still think it would be easier (and not cause as many issues as advertised) to revert back to the previous pts system and just keep the level requirement. Also consider that if we go the pts route some of us would have already earned pts from the previous system (just makes it more complex). If after reading all this you still think it would be better to just change the pts required to get to VIP status, this is my suggestion. Remember, @AnkerOfficial thought it should take just over a year for @nigelhealy and I to become VIP members. That takes a lot of dedication, as it should. IMO it would be necessary to rework all the levels. That would also require starting over everyone's pts and possibly give them gifts based on how many they had. Now, if you posted 5 threads per day, replied 5 times a day, liked 5 times a day, get replied to 5 times a day, and get liked 5 times a day, then it would take you 2.5 years to reach VIP status. So basically that would mean Anker is encouraging everyone to make at least 4,545 posts to get to VIP status if they want to get there in the shortest time possible. Do we really want that? That's why I think it would be easier (for Anke and everyone) to just revert back to the old pts system. Whatever the system, im sure its gonna be for the better. I've been contributing my time, effort and help at the Apple Support Communities (ASCs) forum starting well over ten years ago. Within the past month or so, I finally achieved Level 6 (8,000 points) which gives one certain ASC privileges, accesses and some other perks available only to Level 6 (or above) members. 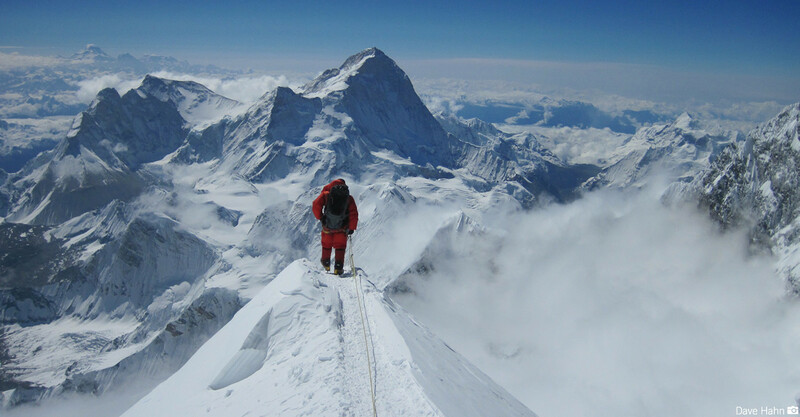 Getting above Level 6 gains you nothing else but status (if that's what you're looking to achieve). Advancing in a forum like the ASCs takes a lot of time and effort and the will to help. Points are only awarded to members by helping/answering/solving technical issues by those who have actually asked the question/have the issue/etc. Your own post count make zero difference. These things take time...one would need to be in it for the long haul. I recommend that the "like" button remain but it comes with no reward. It is then just a person to person way to say you like it, but a reward simply causes some to just like to earn points, which undermines the whole point of a like. At this stage there is no indication this is an issue because if you order its roughly correlates to genuine engagement, but if you give rewards based on likes then that could change. Was referring more to the previous system, where there was no cap. Now they are limited for both giving and receiving (5pts each), it should make end users think more about giving them to genuine good comments / answers / support etc if they want the receiver to generate a buck as a thank you reward. Giving out likes only helps your points to a total of 5 a day, not buck count. Either way, it's still kinda early to see how this new points system pans out, that should become more clear in the next giveaways. Just wondering, @ndalby as a moderator, how many weeks paid vacation do you get each year? That could be a deal breaker for me. I'm moderator of another forum for about 9 years now and I keep 3 active moderators at any time, one in Europe, one in USA, one in Asia, so we have a reasonable respond, and we notify the other moderators if we're going offline for a long period so they know to crank up their attentiveness. Thanks for everyone's kind suggestions, we will consider all your concerns and make effort to create a new, balanced, and reasonable points system ASAP, please be patient! Hey @AnkerOfficial, I've been a user and member since 2013 and had racked up over 10k Anker bucks over the years. I was ranked #2 in terms of points but they have never been put back into my account since the migration to the new system. Hi @Fire_and_Ice, I check your personal profile, and I found that you posted 4 times in totally since last year on September, so I would suggest you to be more active in the community, so as to reach more higher level you want. Can you check the old Anker points system that gave points not based on posting but gave points on checking in daily? The experience points now are relevant to your level, by your previous community behaviors, you receive nearly 150 points, so you are in LV2 now. If you want to reach LV3, you will need 300 points. Thanks again! Looks much better than before.